As your company of choice when it comes to bathroom refurbishments in Kirkcaldy, Fife, and the surrounding areas, you can trust us for a dependable service. From shower replacements to new taps and tile repairs, we cover all aspects of bathroom work to ensure that you receive a comprehensive service. Adapting the structural layout of the existing room, we ensure that your new bathroom or kitchen matches your individual requirements. Our team carry out any plumbing and electrical work diligently to ensure that there is minimal disruption to your property. Mira™ showers are widely recognised for delivering a high-pressure water system that perfectly complements any kind of en suite or bathroom. Dust sheets are laid down to ensure that the room remains clean and tidy throughout the process, and all of our products are guaranteed for your reassurance. There is a wide variety of brochures for you to view to make sure that you make the right decision for your home. Whether it is a traditional or contemporary design you are after, we have the skills and tools on hand to ensure your complete satisfaction. 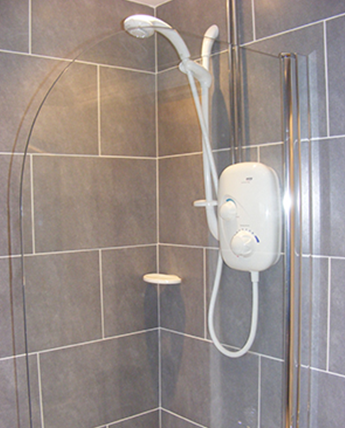 Contact us in Kirkcaldy, Fife, to see why we are the right choice for bathroom refurbishments and shower replacements.